Donald Trump coined the phrase fake news, yet he doesn’t own it, his argument is with the established media which takes it upon itself to report based on a political doctrine while still being at arm’s length from any direct political ownership and influence such ownership dictates. 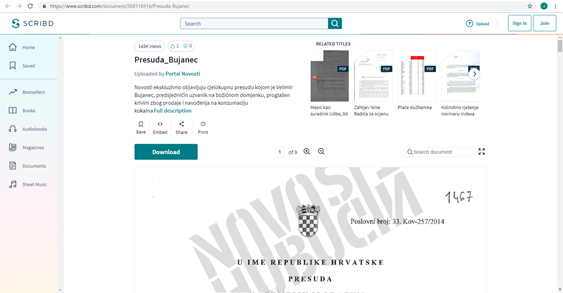 In Croatia however, we actually have political influence that goes beyond that point and commercially sells its doctrine and fake news via its own print and digital media. Laws in the United States, let alone Australia deter such situations, yet in a supposed democracy such as Croatia, there seems to be no issue with this conflict of interest, it is akin to not only past totalitarian regimes using these forms of public address as propaganda platforms, but more so, to the regime that our country once suffered at the hands of the Yugoslav secret services. 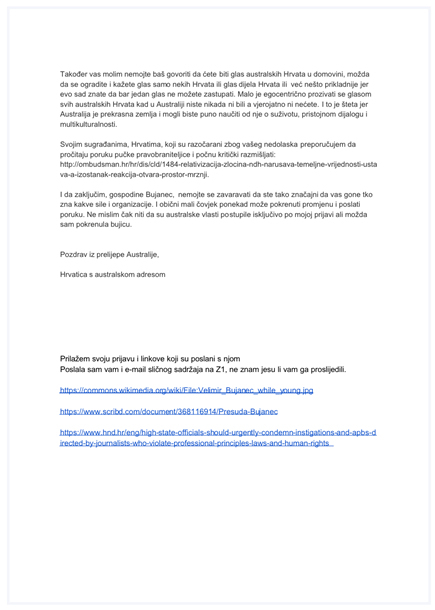 Is it now a case that the dreaded UDBA is in fact the Croatian media, or at least a segment of its controlled by minority interests? 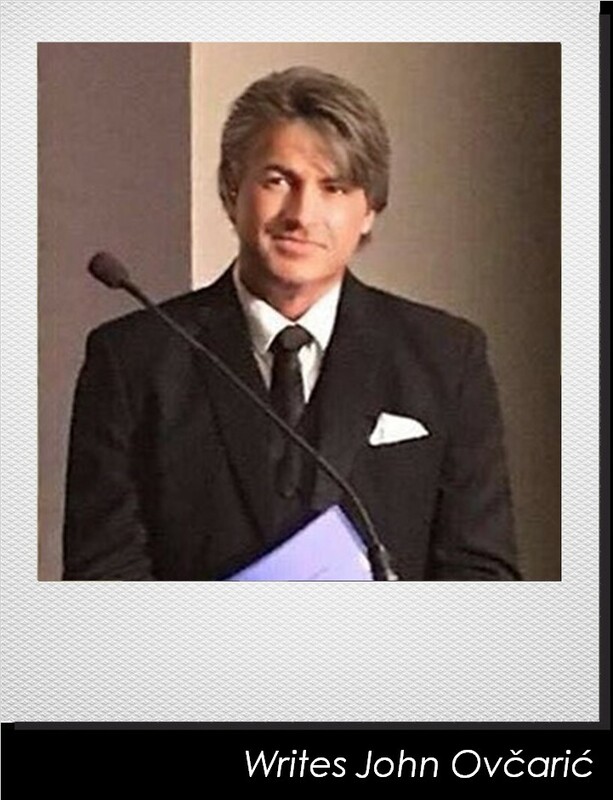 Last week I speculated and wrote about the silent Phantom who most probably had reported Velimir Bujanac for a then undisclosed reason to Australian authorities resulting in his visa to this country being revoked, and while some steered the discussion toward technicalities and speculation as to the incorrect Visa type having been applied for, my thoughts and speculation were that we were dealing with a phantom most likely from within our own midst and manipulated by a darker one within the republic. 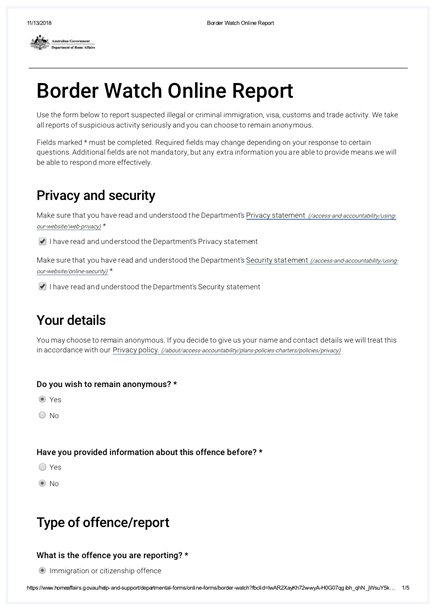 It seems, that in the past 24 hours this initial assumption is accurate with a report and substantiating documents published by the Croatian media implicating the actions of an anonymous Croatian female in Australia lodging a “Border Watch Online Report” with the Department of “Home Affairs” Isn’t that the Department I mentioned in my last editorial headed by Minister Peter Dutton? Funny that. 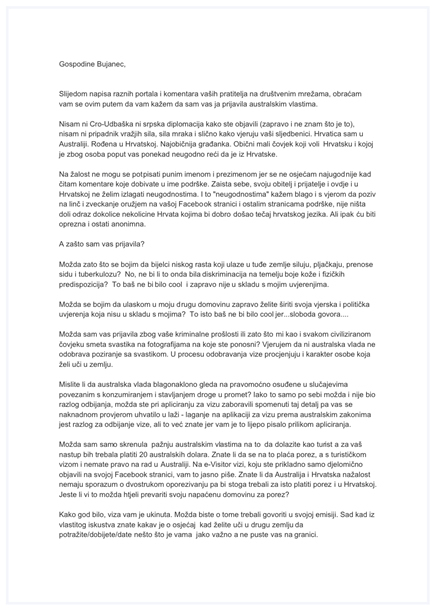 Anyway, to cut a long story short, this Female Australian Croatian Patriot made all manner of accusations regarding Bujanac which you can all partially read from the screen shots of both the report (Which she took at the time of lodgement), and a letter to Bujanac which she, once again, wrote and made available online via a site known as “SCRIBD” all very convenient for all and sundry wishing to report this news. Did I say news or Fake News? For those of you who may not be aware of what SCRIBD is, it’s a digital library, e-book and audiobook subscription service that includes one million titles, hosts 60 million documents on its open publishing platform and with 80 million users has been referred to as “the Netflix for books” by some of the more prestigious media outlets in the United States. It is so popular that along with our mysterious Female patriot the less than prestigious media outlet “Portal Novosti” does also. 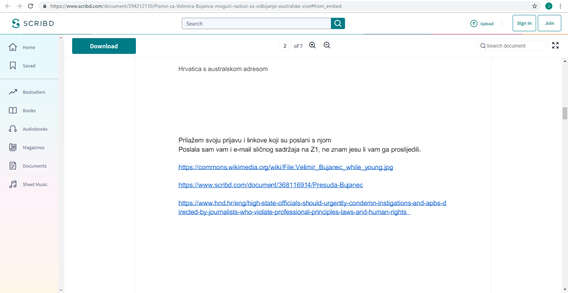 Our patriot must be an avid subscriber also as she refers to a particular article that appears in it and uploaded on SCRIBD referring to Bujanac as part of her witch hunt online watch report. Yet it all becomes much more tantalising when overnight a keen eagle eyed GHD member noticed a number of interesting attributes to the published documentation which we will discuss in some greater detail. 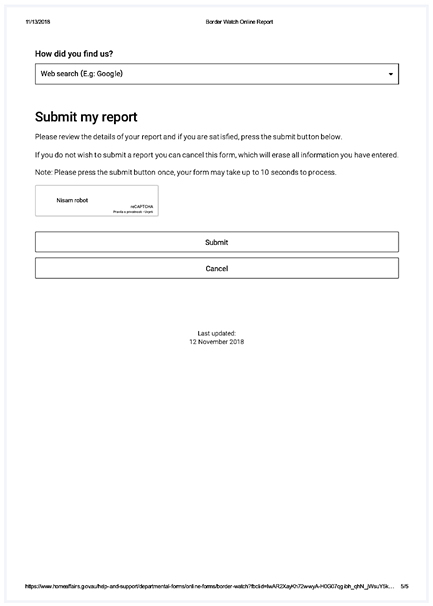 So, if we go to the very final 5th page of the online report which the lodger screen shoted, we can pick up on a number of blatantly obvious features that give us some clues as to not only the physical location of the lodger but potentially their identity. Feature number 1 : “The Date Stamps” Two dates appear, the obvious question being why, well if we keep in mind that Zagreb is 10 hours behind us, and that the 13th of November represents official Australian departmental Time shown in the upper left hand corner, then we can assume that the 12th of November shown on the lower centre portion of the lodgement represents the Lodgers time zone. Therefore, at some time up until 11:59pm Zagreb time (Or 10:00am Australian Eastern standard Time) this notification was lodged outside of our time zone and Australia for that matter. Feature number 2: “Nisam Robot” The reCAPTCHA “I’m not a Robot” indicates that the lodger was using a browser that is also located in a country where the native tongue is not English / Australian and backs up the observation made in the previous point. 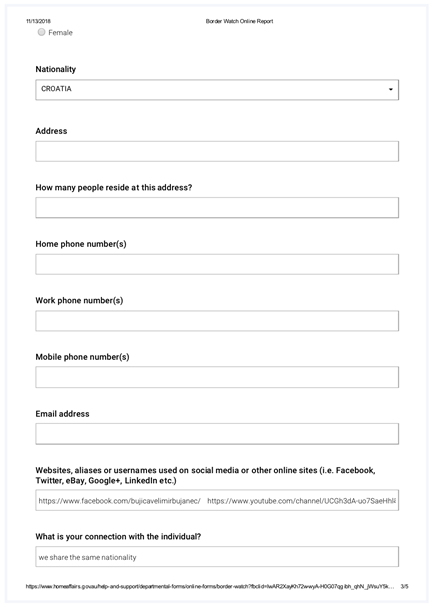 Feature number 3: “The Face Book FBCLID code” Although in the official online form the lodger is asked how they found the site, which they respond with “Google” The ‘fbclid’ appears on the bottom of the page, this parameter (Facebook click identifier) is added to outgoing links from Facebook in order to enable its Pixel tooling to be able to correlate clicks and conversions, enabling advertisers to compare and analyse the effectiveness of their adverts with different groups of people. 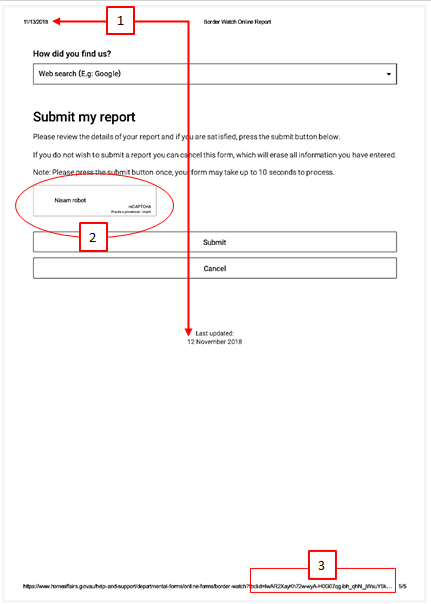 Although an analytics feature, the code as seen on the document may have information regarding the identity of the person who used Face Book as the platform from which the Departments page was accessed, the issue however is that this information has been shortened by the indication of 3 dots at the end of the address which complete the identifier. This information exists as does information on the departments servers. The following extract from their “Site Visit Data” policy. 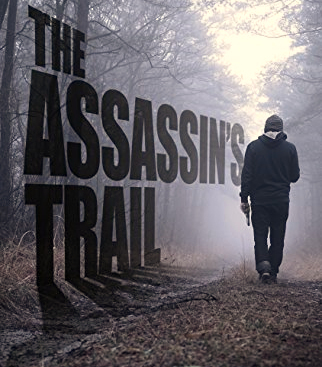 The Assassins Trail suggests that we may have a very devious, but also stupid person who has not covered their tracks and as a result has created a storm in the media. The question we need to ask is who is this assassin and with respect to those gender undecided persons who may read this, is this so called female patriot transgender or even representative of multiple persona? If we go back to the dark old days of UDBA manipulation and infiltration in the Croatian Diaspora, one of their tactics was the use of Black Flag operations where they would draw attention to their treachery by creating a scenario where all signs pointed to sabotage by and from within our own ranks. It caused mistrust, infighting, and rampant retribution among us so as to allow the perpetrators to either abscond, cover their tracks, project blame on the innocent or stop our progress dead in its tracks. 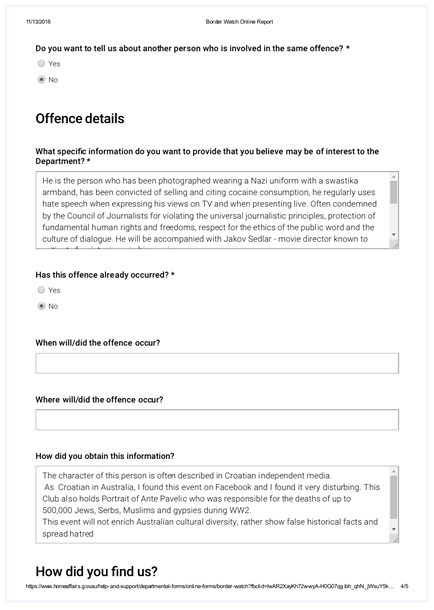 In Bujica’s case, I believe that this same tactic has been utilised to cover up the source of the complaint, bring Bujica into disrepute, cause infighting and mistrust among us in Australia and ultimately promote the political and anti-Croatian ideology of a 5th column. We can’t clearly identify who is behind this, however the meta data exists and these 3 small omissions in the assassin’s execution of documents has opened a Pandora’s box of questions. Indeed, there is very much a case to now approach Minister Peter Dutton and the Office of Home Affairs regarding this matter, it stinks to high heaven of manipulation by a foreign entity on a political and anti-social level of an official Federal department. It is not unlike the manipulation seen in this country during the Lionel Murphy ASIO scandal of the Whitlam era ALP Government. Consequently, it may give our consulate staff a project to work on at long last rather than rubber stamping sheets of paper in their air-conditioned offices each day. 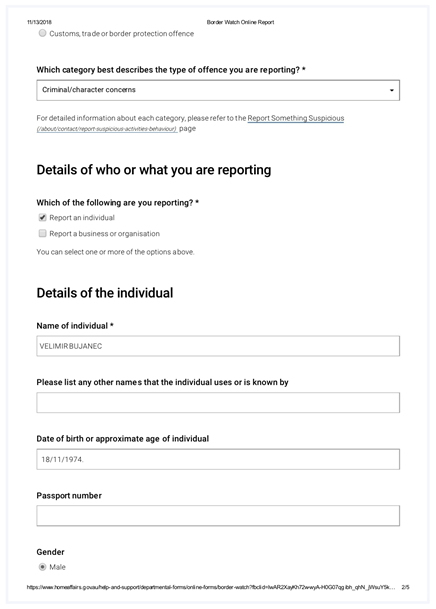 Request Peter Dutton’s department to provide information as to why a Croatian citizen was denied entry based on flimsy fabricated innuendo submitted across a platform designed to stop criminal activity and while you’re there, ask them which space cadet didn’t pick up on the obvious markers on the lodgement which would question its validity. With all the effort and time individuals from the “Diaspora” invest in conspiracy nonsense like this we could be creating economic opportunities here and with Croatians back home. Instead, per usual, it’s boogeyman Communist rhetoric. Seriously it’s you guys who cause division here. Most of us are normal – we are not interested in nationalist rubbish when economic opportunities are so bad in Croatia. The only “outrage” to this whole visa cancellation is the small handful of Far Right Diaspora who control the Croatian media here. Barely anyone turns up to these visits. They do not care for these men’s opinions. Why? Because people have had enough of anything totalitarian, whether communist or fascist. Maybe the officials at Immigration googled him and saw he is a Far Right speaker and do not want to encourage more of that sentiment. Don’t know, don’t care, would not have attended anyway.